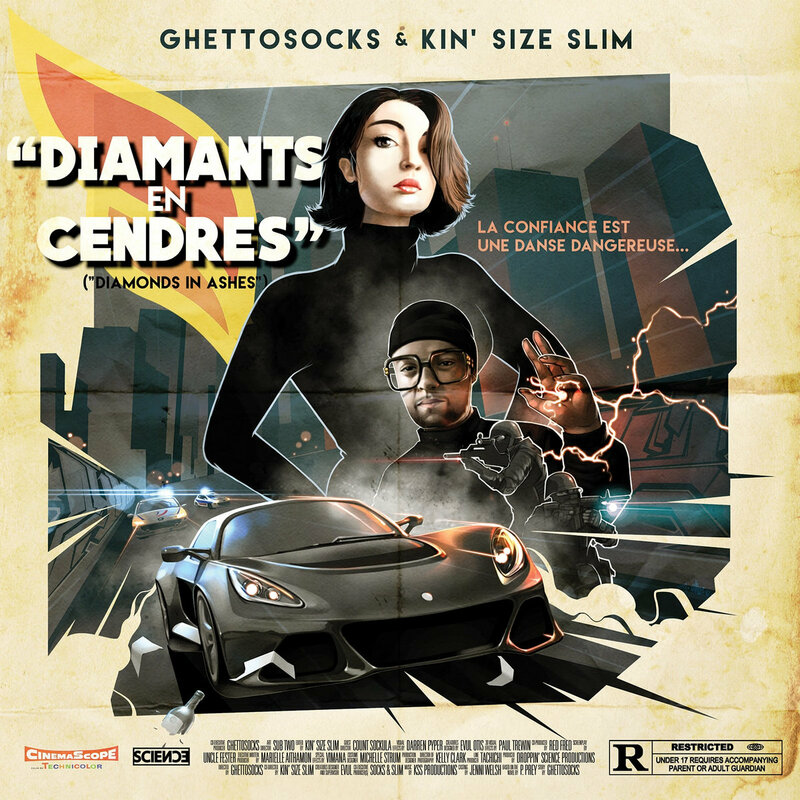 Five years ago Ghettosocks was approached by Marseille-based producer Kin' Size Slim (aka the Digital Mahelem) to do a collaboration. Instead of selecting one of the 5 beats Slim sent and making a song, Socks created a story arc spanning across all 5 tracks. The result was this audio short film. Shortly after the project was completed, it was forgotten about before it could be released- lost in the shuffle of life. Socks recently rediscovered the project while sifting through old tracks in his archive and reconnected with Slim. They agreed that the project was too good to not see the light of day, and decided to push it out. UK based SubTwo was commissioned to do the cover art and capture the updated 70sploitation vibe of the theme for the record. Musically, the record covers a lot of ground with a variety of production styles, while Socks demonstrates his storytelling abilities throughout. We hope you enjoy this unearthed gem!